Active Triggers! Show important slide content only when you want to. Use action buttons in PowerPoint to easily show/hide anything in a presentation. Keep your audience focused with Action buttons. Easily control when to show & hide your content. Action Bbuttons are easy to use! 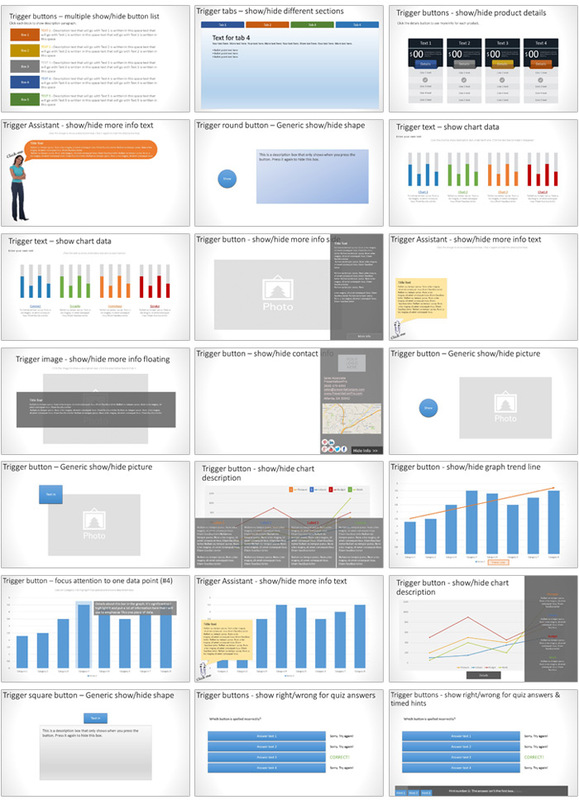 Copy and paste a slide into your presentation and edit it to fit your needs. Images are easy to replace, just right-click the image and choose 'change picture'.